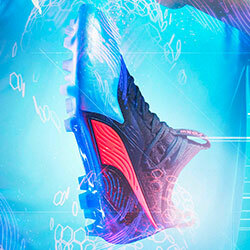 Innovative and eye-catching, Puma football boots are right up there with the best. After decades of designing ground-breaking boots, players such as Sergio Aguero and Antoine Grizemann now proudly display the infamous logo as they set the world alight. It doesn’t matter if you’re after the Puma King boots, or the very latest evoSPEED or evoPOWER, because we’ve got you covered here at FOOTY.COM. Compare prices today and find your perfect pair of Puma football boots. 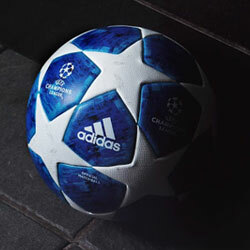 FOOTY.COM plays host to the largest collection of Puma football boots currently on the internet. We provide a convenient way for you to compare prices and find the best available deal, perfect for players on a budget. Puma have always been one of the biggest providers of football boots across the globe, and offer a range of footwear that is specifically designed to enhance your game. 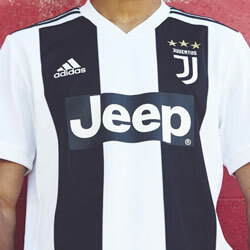 By choosing Puma, you won’t just be saving yourself a bit of cash, you’ll also be taking a giant step towards becoming a better football player. The Puma evoPOWER offers unbelievable shot power and accuracy. The Puma One offers incredible comfort and control. The Puma evoSPEED unleashes your blistering pace. This brand is always pushing the boundaries to give you the very latest in football boot technology and keep you a step ahead of the competition. No matter what your job is on the football pitch, our selection of Puma football boots gives you all that’s needed to enhance your game. 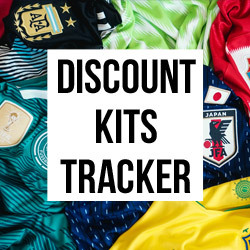 While FOOTY.COM may specialise in finding you the cheapest deals on Puma boots, you should head on over to our blog page now to keep up to date with the latest news and releases. We’ll let you know all about the newest technology and most eye-catching designs, so that you can be absolutely certain of finding the perfect pair for you. Whatever you’re searching for, you’ll find the cheapest pair of Puma football boots with FOOTY.COM.